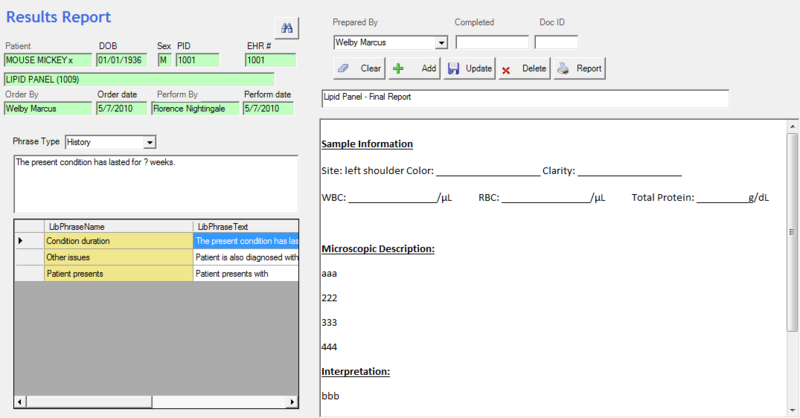 Apex designed its Reference Lab Manager to provide hospitals and reference labs the workflow management features associated with high-end laboratory information systems at a fraction of their cost. 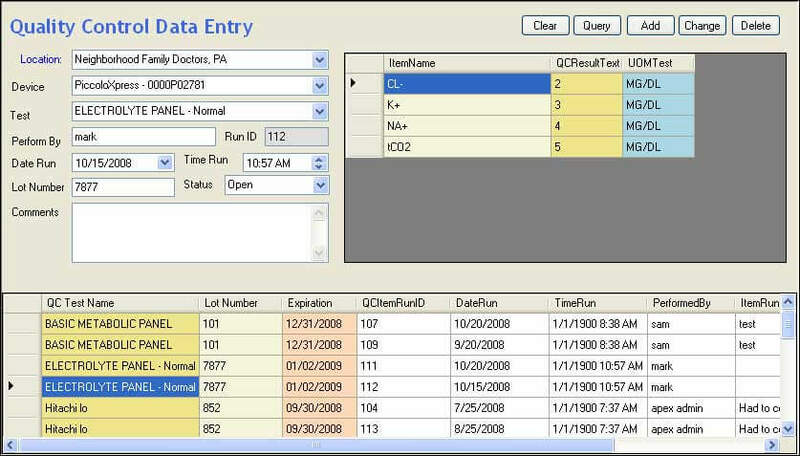 The Apex Reference Lab Manager can accept lab orders from multiple application order forms, a dedicated web portal or as HL7 messages sent by a client. 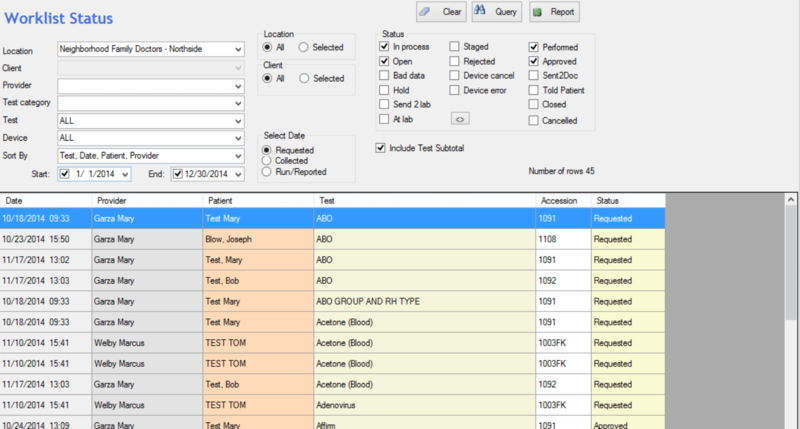 Client can choose to have barcoded paper requisitions printed at their office if they wish. 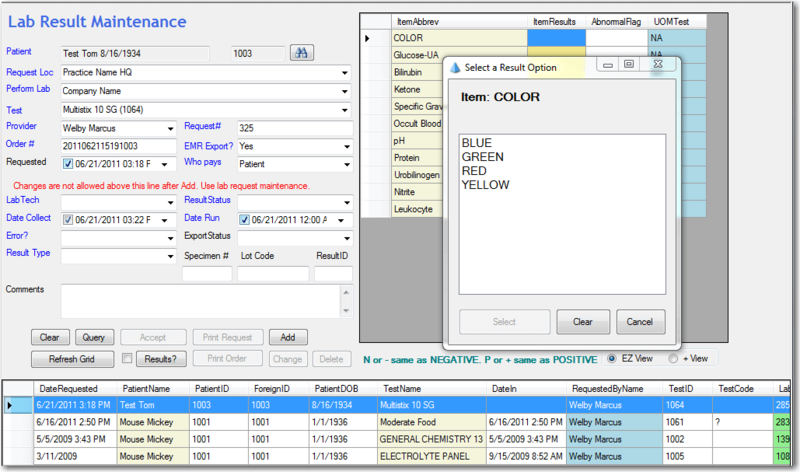 When specimens are provided by the client the Reference Lab Manager will automatically print barcoded specimen labels at client location. 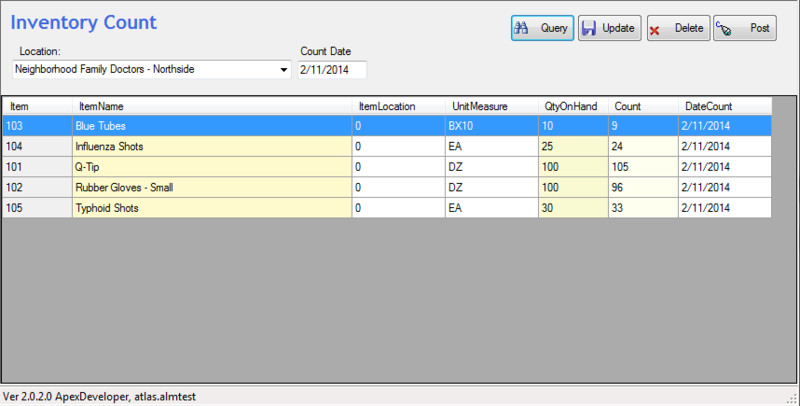 Specimen labels are automatically created regardless of which order origination method the client chooses. 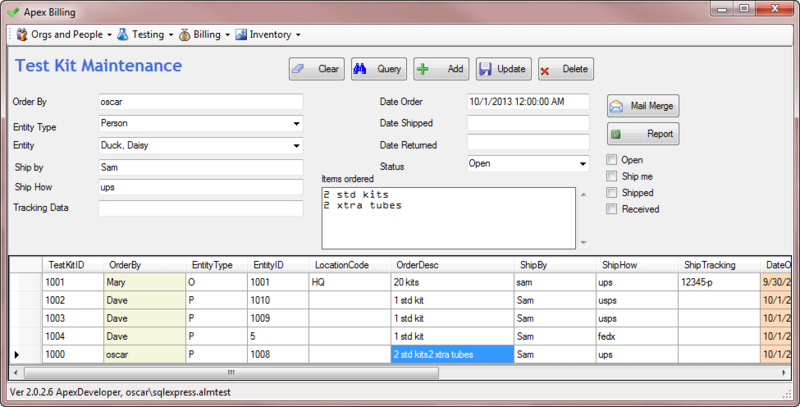 Specimens created locally or received from client are logged into specimen storage by using a barcode scanner to scan the specimen and the storage location barcodes. 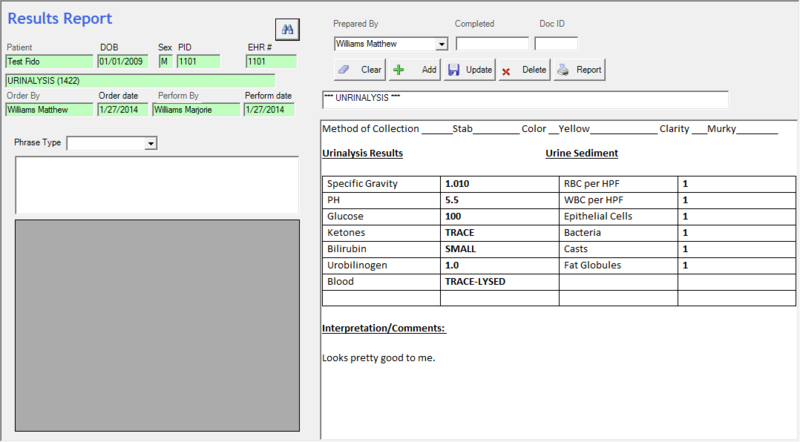 When the test is ready to be performed, the Lab Request Status screen identifies the location of the specimen. The specimen is removed from storage by using a barcode scanner to scan specimen and location barcodes. 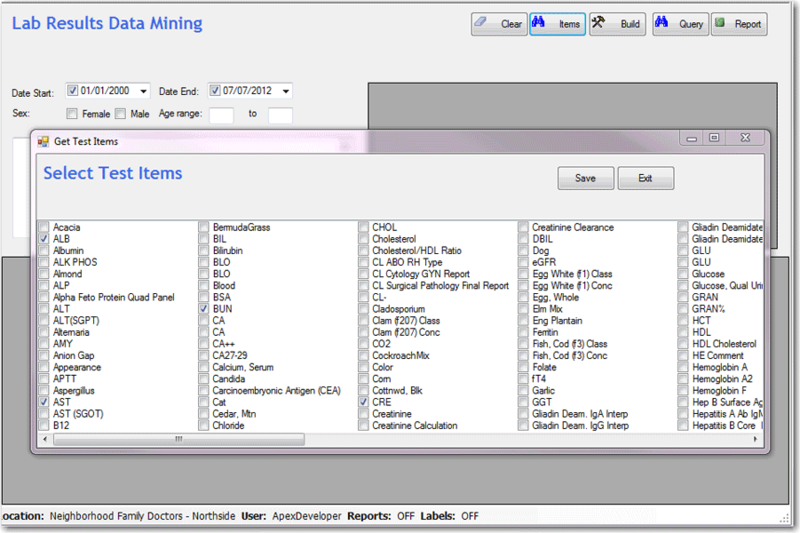 The application provides a variety of forms and reports used to manage and schedule testing. 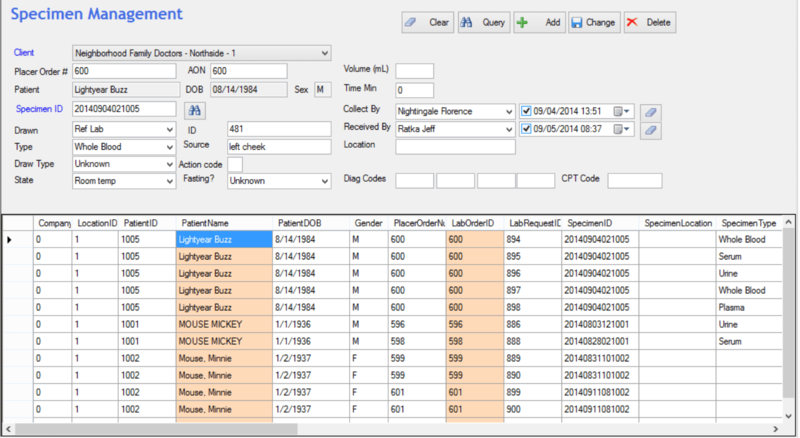 Multiple low-volume test devices may be connected to a single Apex LIS workstation (to a maximum of eight). 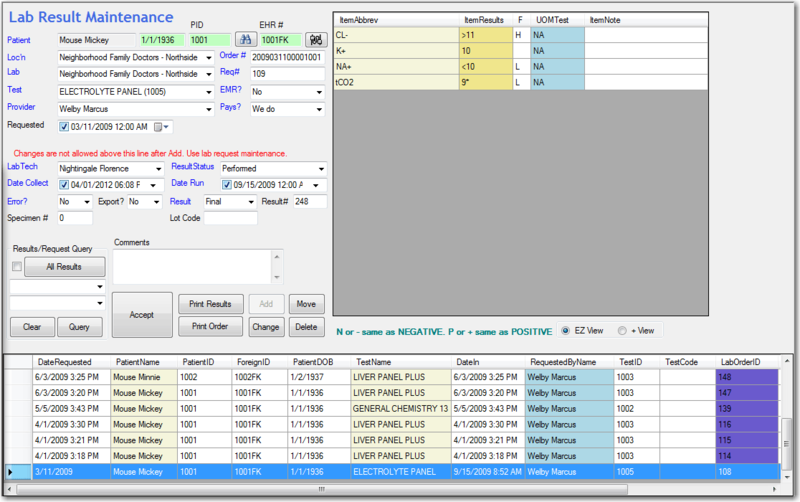 For high performance lab devices you may dedicate an Apex LIS workstation to a single device. 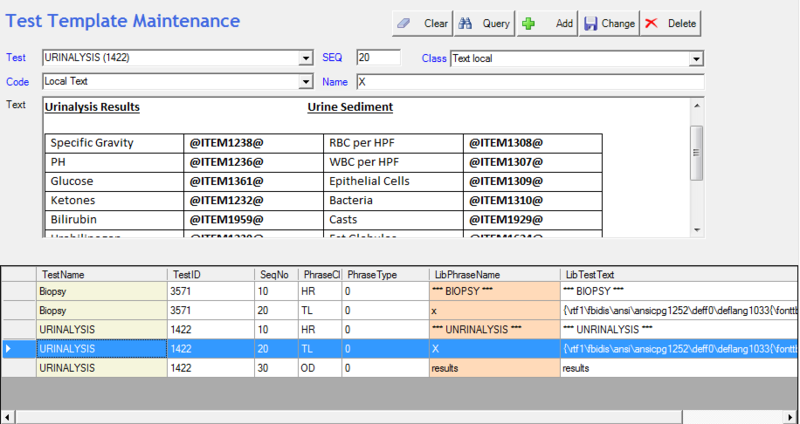 For labs that mail out specimen collection kits the application provides automated tools for tracking and reporting on collection kit status. 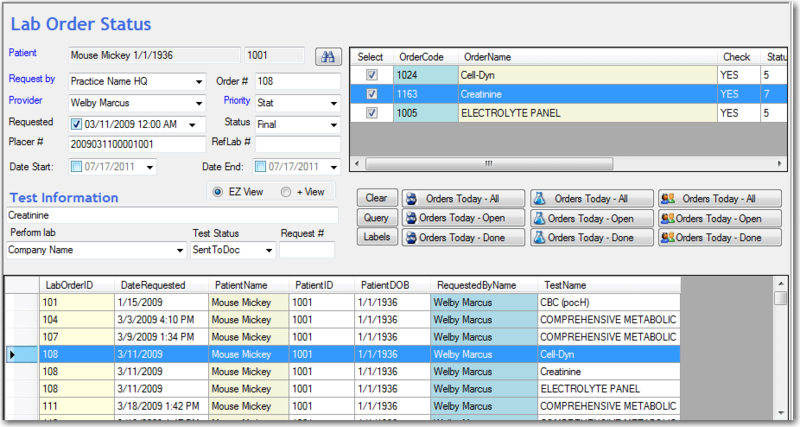 Mailing labels can be produced for use when mailing specimen kits. 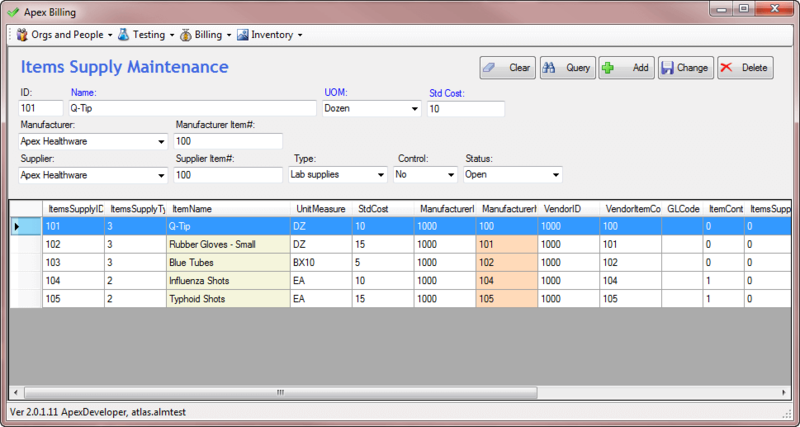 The Reference Lab LIS application includes the Apex Supplies Manager to assist in managing supplies. 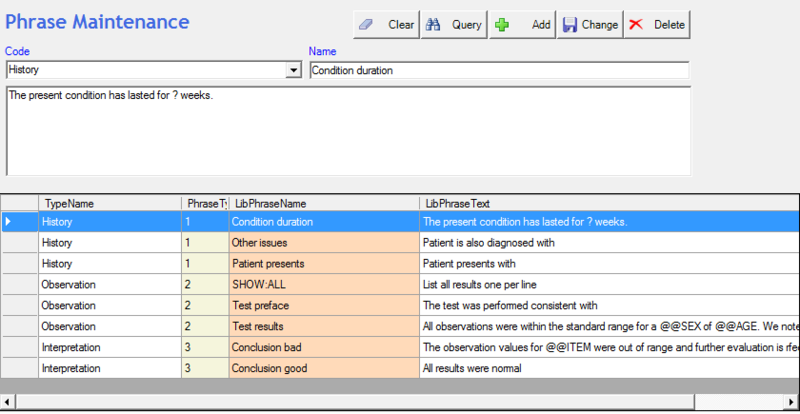 The Report Templates system provides an easy-to-use process for quickly preparing interpretative reports on patient diagnostic test results. 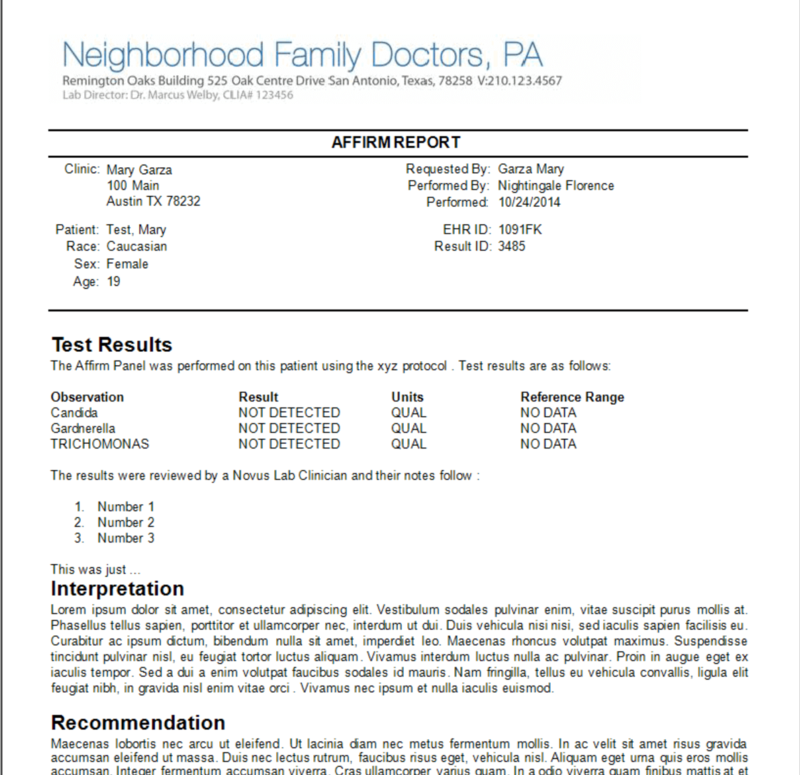 Results Report Templates are easily prepared using Microsoft Word and then patient test results are automatically integrated into the template for final editing.